This was a great whisky when it first opened, reinforcing the fact that peat and smoke are not the only characteristics of good whisky. 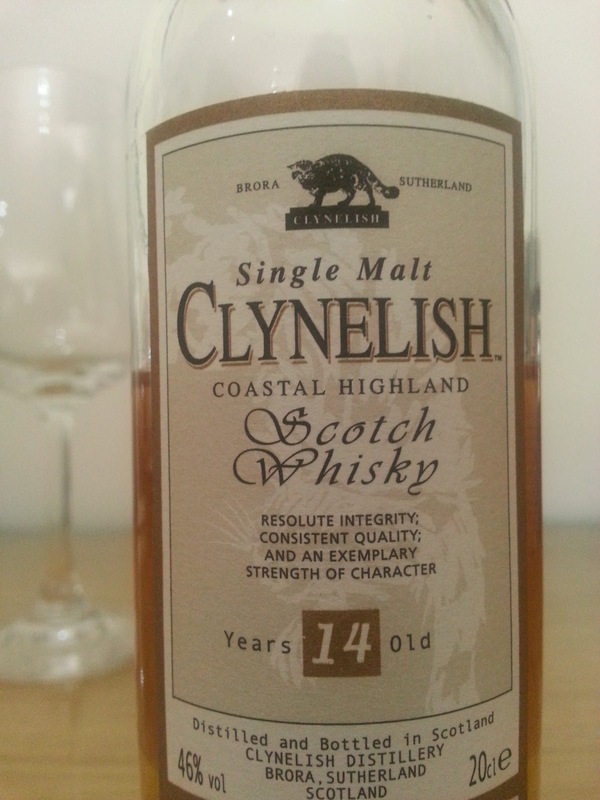 The few times I’ve tried Clynelish 14 Year Old, I have been struck by the lovely sweetness and fruitiness of the dram, and its distinct freshness. Unfortunately, the buzz in this whisky does not last very long after opening it. It retains its lovely nose and texture, but it takes on a bitterness that almost reminds me of biting into bitter melon as it pierces the tongue with a prominent tartness. Oranges, mandarin, hints of lime. Sweetness and fruit, accompanied with rainfall. A shimmering deep yellow almost like apple juice. Gentle citrus and upon opening the mouth an immediate and delightful fire warming the entire mouth and tongue. Orange seems to be the noticeable theme, with subtle lemon zest. Fresh and crisp, grassy. I am reminded of lemon leaves. Wonderful! The gentle fire lingers on the tongue and in the entire mouth, heating up quickly then slowly cooling. A gradual retreat of the warm glow moves from the base of the tongue to the tip, as surges of wood fire and and heat continue to delight. This is very enjoyable whisky, perfect for breezy sunsets on the balcony. Unfortunately, I found that this whisky loses a lot of its pop after the bottle is opened. Only a month after opening the bottle, it has a lot more bitterness and roughness.